IDS specialize in providing MSDS/SDS (safety data sheet) obtainment, renewal, classification and full indexing multilingual services for global chemical regulatory compliance and management. IDS clientele are global providers of data and information services which enable companies to improve compliance with (EH&S) regulations and supply chain obligations through the entire lifecycle of chemicals and chemical products. 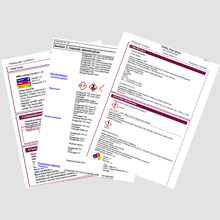 Domain knowledge – Strong capability of indexing MSDS/SDS documents for various fields such as Identification; GHS/CLP classification including Hazard and Precautionary statements, signal words, pictograms; Ingredients; Physical & chemical properties; exposure controls; Toxicology effects; HMIS, NFPA , SARA, WHMIS classification etc. This involves review and analysis of all sixteen sections of SDS, followed by capturing of multilingual regulatory content from documents to populate various fields as per provided specifications. All records are audited for maintaining accuracy. Typical guaranteed data accuracy is 97%. 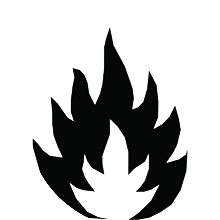 Service involves obtaining MSDSs/SDSs from all provided locations and further undertaking maintenance of existing client MSDS/SDS repository by updating older version MSDS/SDS documents. Under Obtainment process, IDS obtain the corresponding MSDS/SDS document (for each MSDS/SDS chemical product) from the manufacturer’s website. IDS team has domain knowledge and is trained to obtain the required multilingual documents from worldwide regions. Under Renewal process, IDS staff analyses and compare the SDS available with the client with SDS on manufacturer’s website. 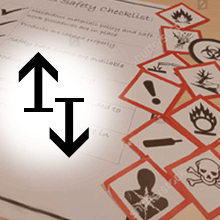 If MSDS/SDS on manufacturer website is current, same is uploaded to client. Typical quality SLA for correctly declaring SDS as ‘found’/’not found’ is 90%. Trained IDS staff carries out subjective evaluation and classification of the assigned chemical products from corresponding MSDS/SDS for Health, Flammability, Reactivity, PPE and other hazards pertaining to the chemical ingredients present in a particular product based on client guidelines. Typical accuracy SLA for classification is 98%. This service involves providing waste management classification of MSDS/SDS documents in compliance with the US federal TRIC or non- RCRA regulations. 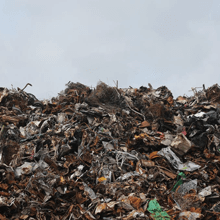 IDS trained staff review and classify the received MSDS/SDS and apply the US Federal and other state codes for waste management to these documents with an accuracy of above 95%. IDS staff review the provided MSDS/SDS documents for chemicals/cosmetics/chemical products for adherence to a market. IDS staff carry research on the substance/product ingredients to verify the correctness of information and the document format for applicability to the market jurisdiction. A gap analysis is provided to the client with comments/suggestions pointing out any modification required The MSDS/SDS is created as per country regulations requirements once revised product information is received from client.